A few unusual basics about cholesterol. You know that you need to get your levels checked regularly and that high levels could increase your risk of heart disease. In other words, cholesterol is serious stuff. But there are a few things you may not know about it—like the fact that your body needs cholesterol—including the 5 tidbits below. Cholesterol is essential for good health. "Cholesterol is important for cell function," says Prediman K. Shah, MD, director of the Oppenheimer Atherosclerosis Research Center and Atherosclerosis Prevention and Treatment Center at the Cedars-Sinai Heart Institute in Los Angeles. Cholesterol makes up every cell in our body, so ridding ourselves of it completely is not an option. "Essentially, our body makes and gives us all we need," adds Fred Pescatore, MD, an integrative physician in New York City. And while our body produces its own cholesterol, it also turns foods like fats into cholesterol. Not everyone with high cholesterol will get heart disease. "Genetics helps determine whether plague builds up in the arteries," says Shah. And there are many factors that play into getting heart disease, and cholesterol is just one of them. Physicians understand how your own personal levels of cholesterol, inflammation, and other protective properties will impact your risk, which is why it's important to discuss these things with your doctor so you can control your cholesterol to the best level for you. Try one of these simple tips to help reduce your heart disease risk. Our cholesterol naturally increases as we get older, especially for women. Turns out that (surprise, surprise) there's more to menopause than hot flashes and night sweats. "For the most part, men tend to have higher cholesterol than women, but around age 60 that starts to change," says Stephen Kopecky, MD, a Mayo Clinic cardiologist who focuses on preventive cardiology and has done extensive research in this area. "At age 70 and 80, we see more women than men with high cholesterol." While the reason behind this isn't completely clear, it could be that the lack of estrogen may play a role in the rising levels. Cholesterol-free foods can raise your cholesterol. You may not need to fast before having your cholesterol levels checked. 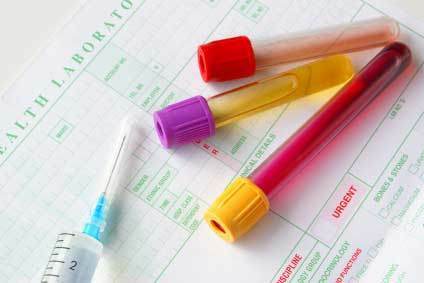 According to a large scale, long-term study published in the journal Circulation, high LDL levels—whether identified by a blood test that was taken after fasting or not—predicts risk for heart disease. The researchers concluded that these non-fasting numbers paint a true picture of your heart's health because we don't live in a fasting state. However, if your cholesterol levels are high or borderline high and you have a family history of heart disease, your doctor will probably still ask you to abstain from eating since a fasting state allows him to compare your numbers as apples to apples.